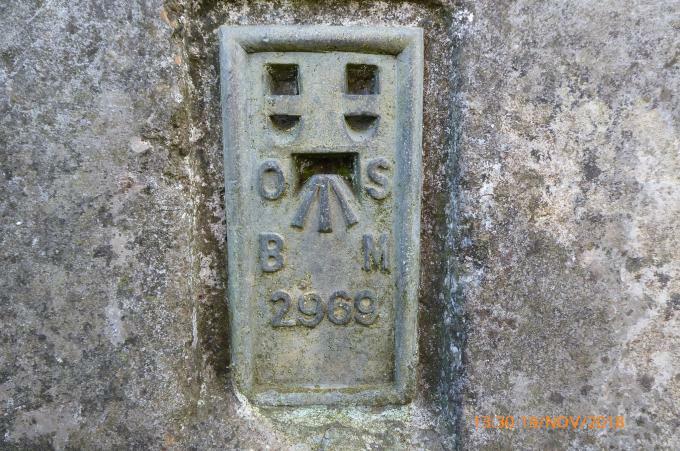 Is ranked joint 6022nd with 51 other trigs (more). RoW leads through Bullshill Farm from the west. 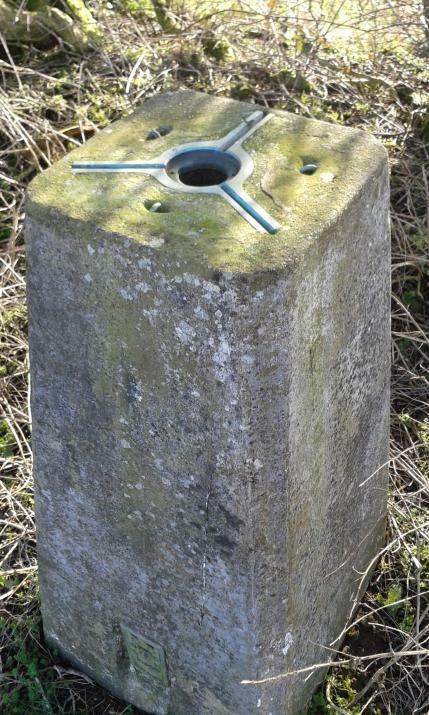 Pillar sits on a loose field boundary providing easy access to the trig. 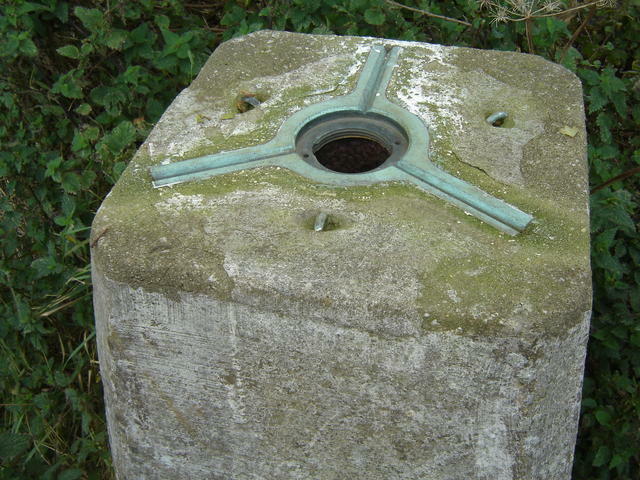 No centre cap or plug; LHS sight hole open. One of the few 4-digit FBs with no 'S' preceding the number. Good views N.
Parked at Bulls Hill Farm. 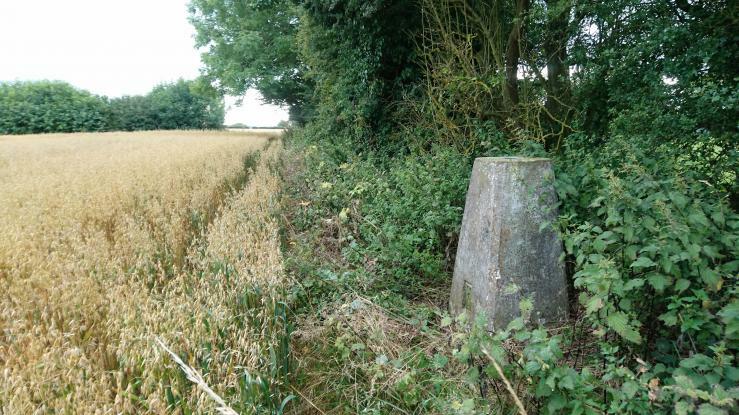 No footpath sign visible until the farmhouse was reached. Followed up and into second field where trig found on hedge line, passing the inquisitive sheep. 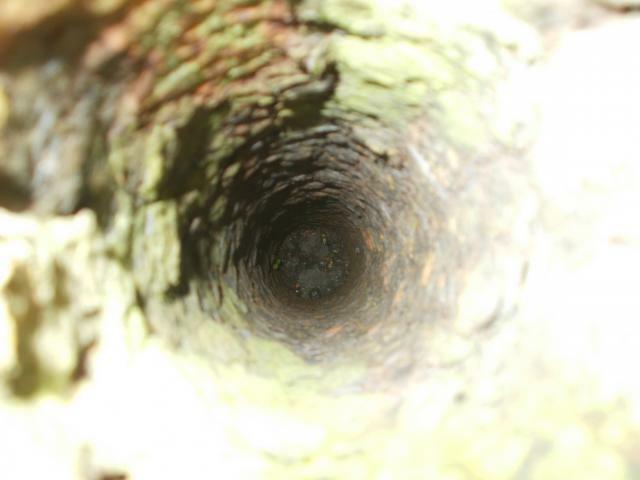 From Bull's Hill Farm; knocked on door but no reply. 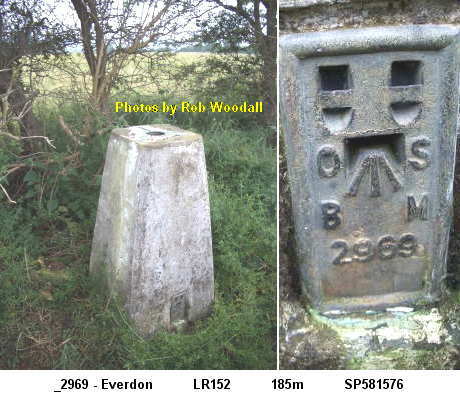 Everdon The FB. 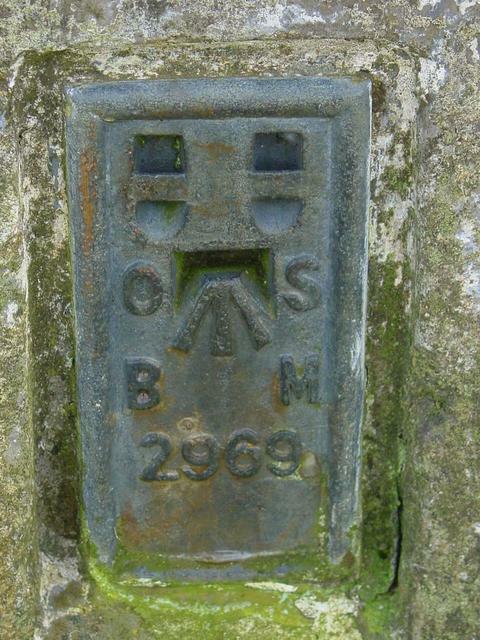 No 'S' in front and it's not a BSM type. 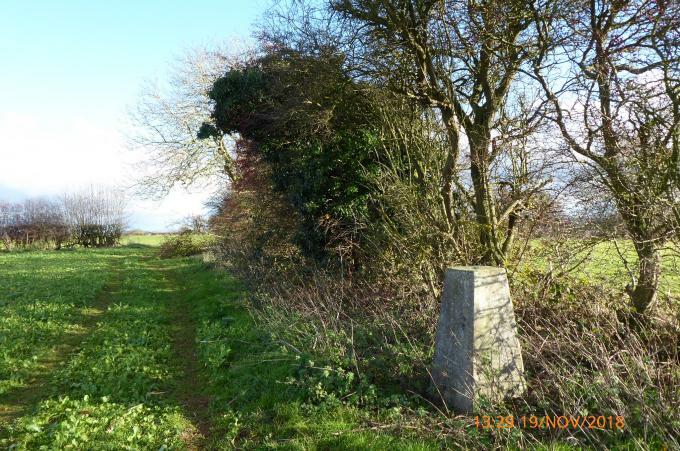 Sunny walk from the east with parking in the village of Everdon. Easy enough to push bike along footpath from Bullshill Farm. Friendly dog and people in farm drive. FB doesn't had "S" in front of number. 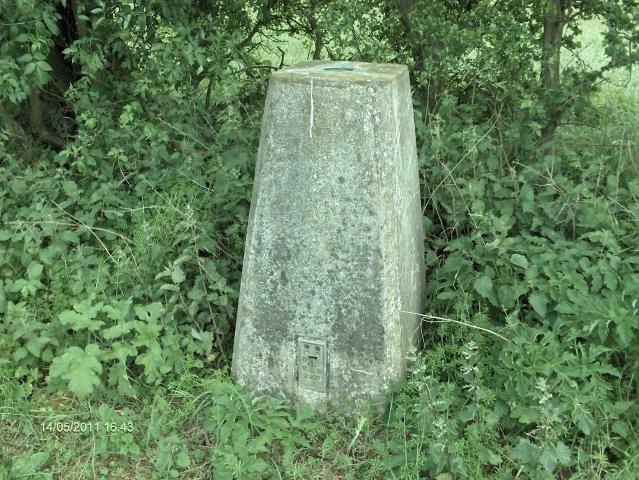 I think this is the first i have seen to have missing S.
Took footpath from Everdon village across several fields of stubble, this trig must be unpopular not logged for nearly 3 years. 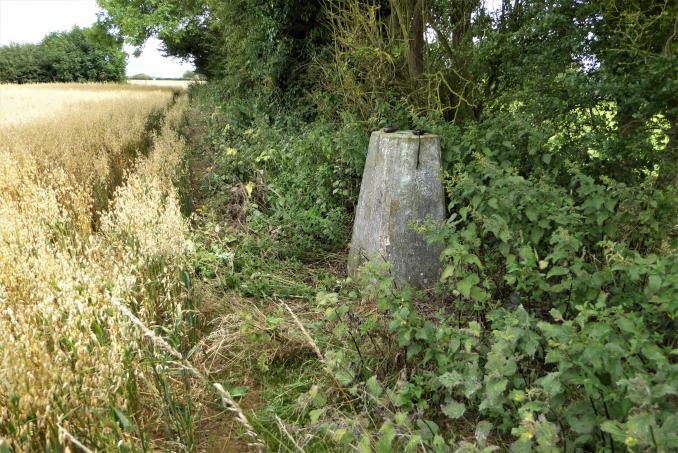 Parked in Everdon - nice short stroll over to this one - paths tricky to follow as through new crops - Pillar good condition, very quiet area - farmland views - any one see the "Rivet" on the steps up from the road? 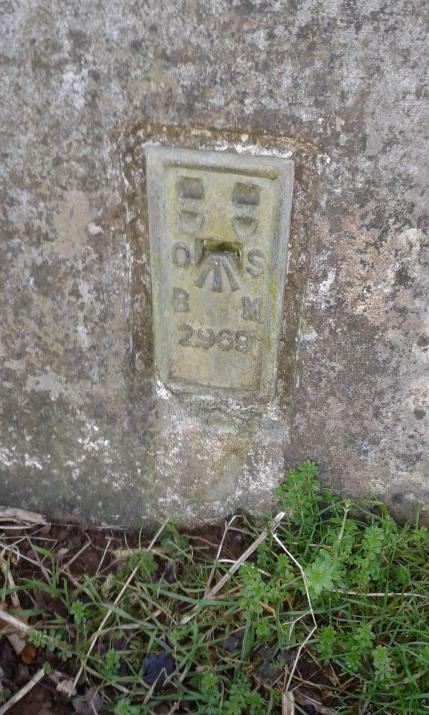 http://www.bench-marks.org.uk/bm26834. Plug missing (see previous photos) and chunks missing from side, hence rating of slightly damaged. Walked up from the road to the west via farmyard. 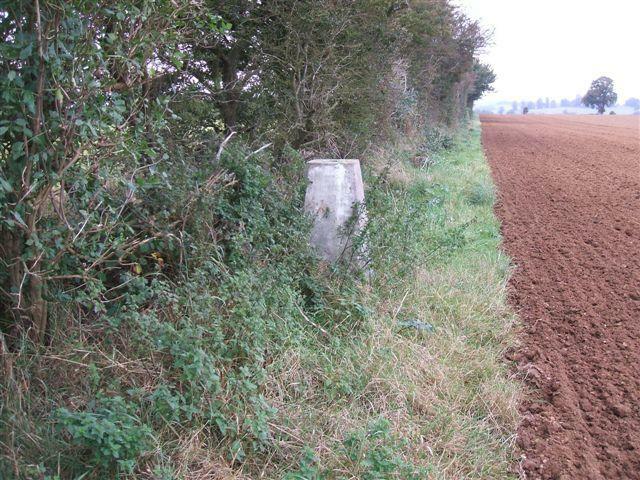 Pillar not actually on footpath but not far off it. 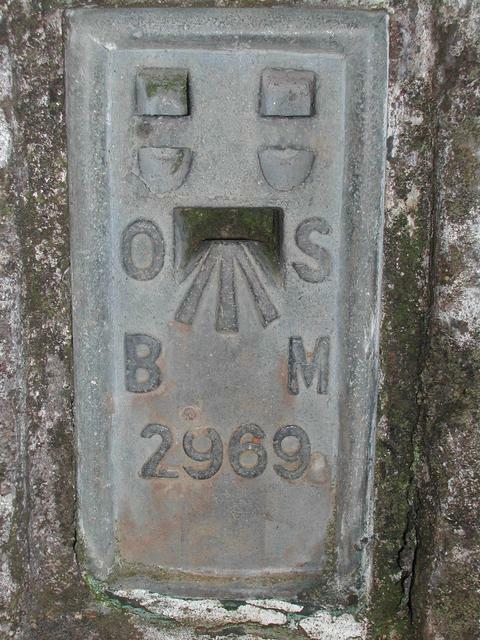 This is the first pillar I have found that has a FB number that is only four digits. Normally they have a letter (usually S) as a prefix. Anyone know why? Pleasant walk on summerlike day along footpaths from West. Stand inside hedgeline, and so is easy to find. Reasonable views from top on blazing hot evening. Better views on ascent from Everdon. Pleasant walk up from the village. Bonus of a rivet on the top step of the stile leading off the road. 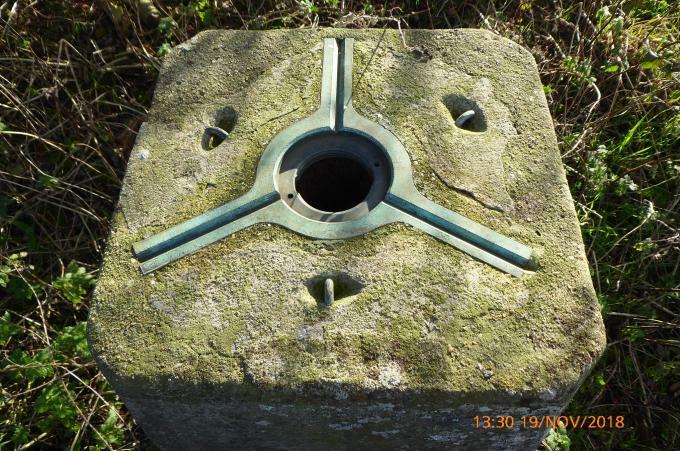 Minor chunks out of the side of the trig. 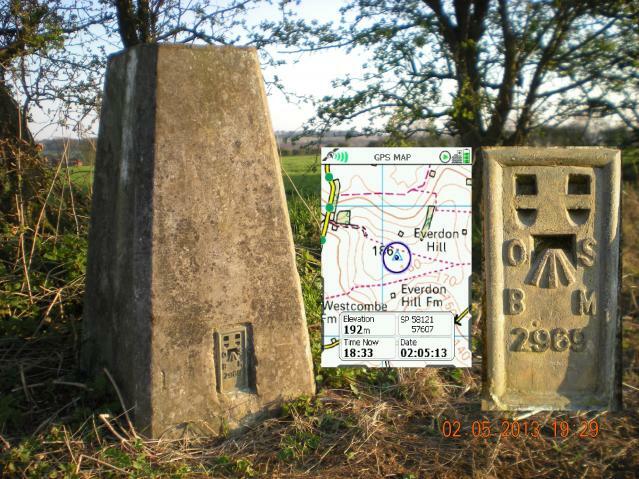 Did the same as Father Ted and did this on route to Arbury hill and the Northants county top. 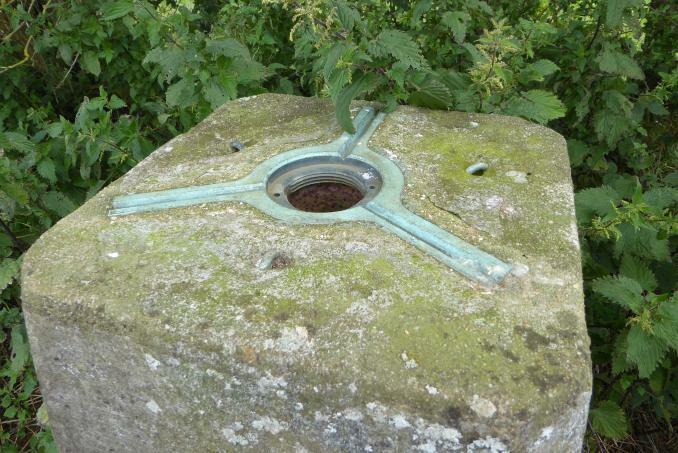 The trig is just of a footpath and access is easy, the centre plug in the spider is missing. Parked in Everdon and walked up past the Farmer and his boy ferreting in a hedgerow. 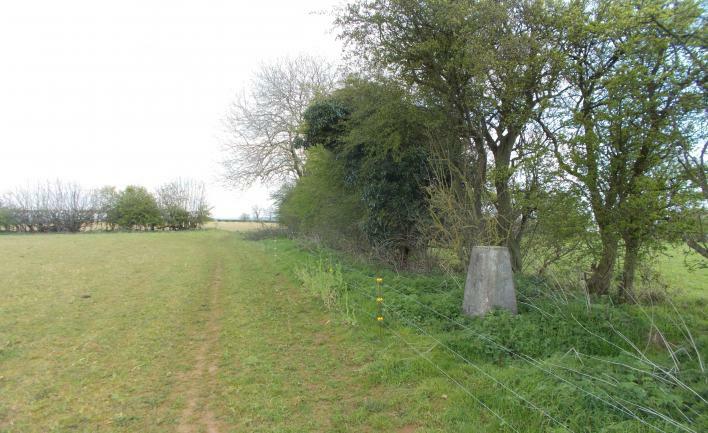 Visible from ROW, easy walk along field edge. 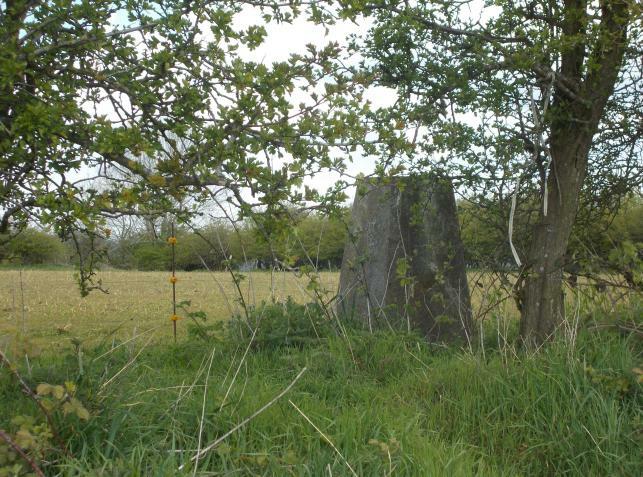 Park in village on walk in on ROW ,pilar 200m off path,no decent view.Arable fields.No S in Flush. 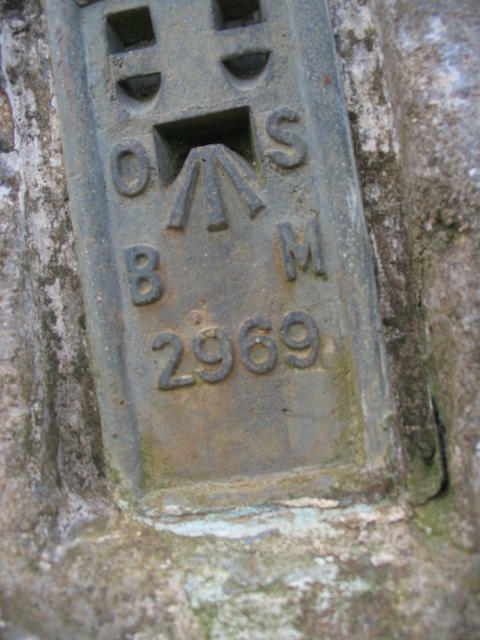 Trigbagging in early 2005. Not bad scenery for the area. 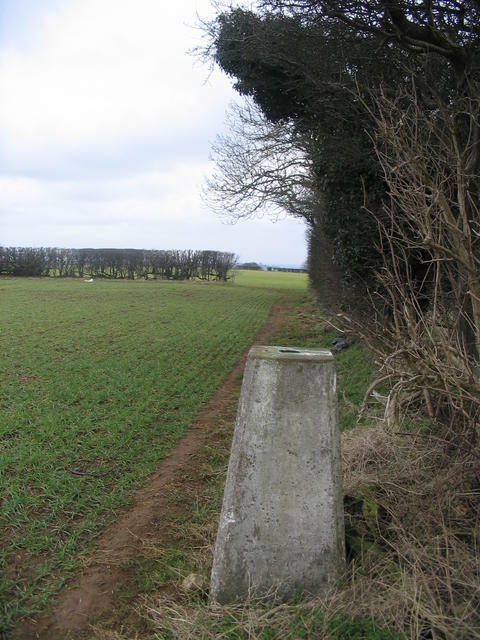 Take the northern of two well signed paths leaving Everdon village. 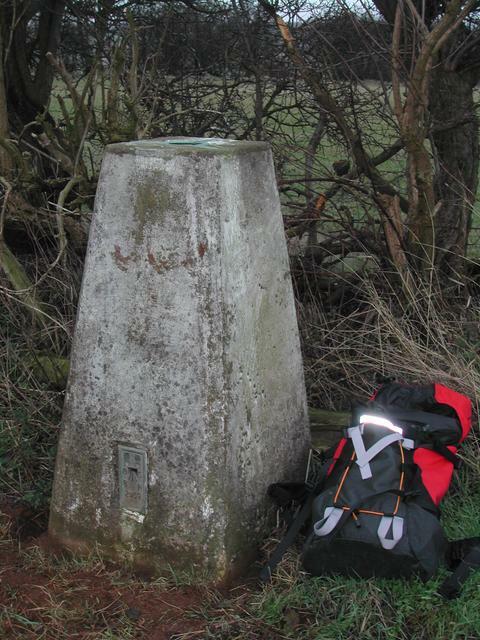 At top of hill turn left along edge of field boundary 60 metres then right to reach trig point. 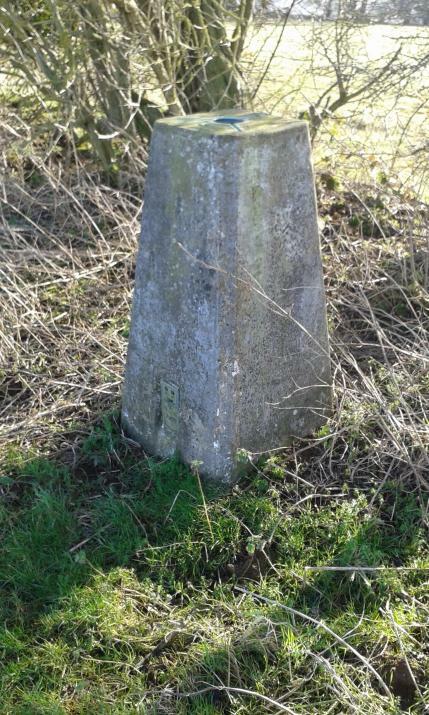 I started the day with a visit to the Northamptionshire County Top at Arbury Hill and then drove the short distance though Badby to access this trig from the west. 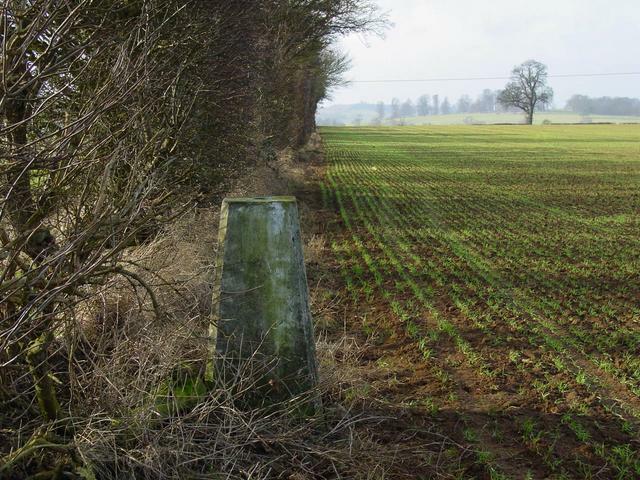 A pleasant walk up the hill and then a small diversion off the footpath around an arable field. 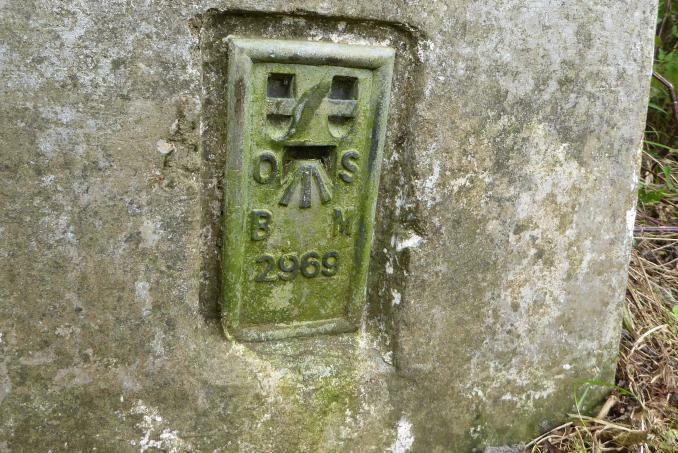 One of the few flush bracket numbers I have seen not to include an S.
Set high amongst the beautiful Northamptonshire Alps with views across to Arbury Hill - Northamptonshires highest peak (no trigpoint). Thanks to Everdon for their complementary tea and biscuits in the village hall for residents and passing mountaineers - a New Years Day tradition going back some 5 years (4 very muddy adults and 6 kids are sorry about the mud on the floor). 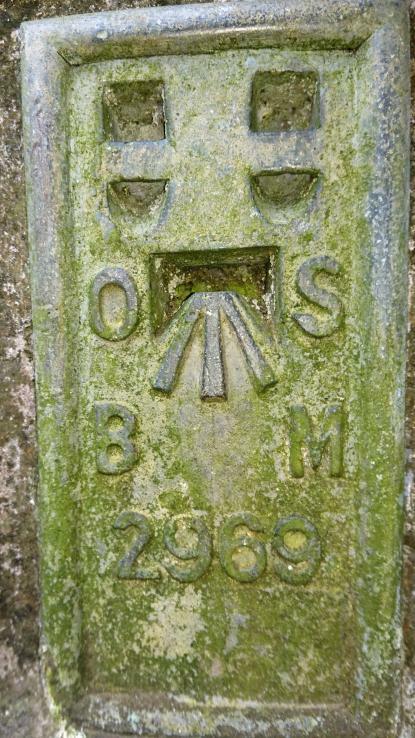 Centre of mount missing.